Review Of Pee – Buddy !! Hope You All Are Doing Well !!! Today I’m Here To Stand Up For Women Hygiene , Which The First And Foremost Part Of Our Better Living !! Most Of Us , Have To Deal With Dirty Toilets Which Is Like A Big nightmare !! Result We All Have To Suffer from certain urinary infection & Those dangerous vaginal dieases !! I Introduce To You Something Unique & friendly weapon against unfriendly toilets Where We Can Stand & Pee Inside the dirty toilets wherever we face !! Intimate Hygiene is a must these days Which is Strongly A Better Site for our near future !! It’s A revolutionary product (Now In India) for women who hate dirty toilets when travelling for work/Leisure (Restaurants, Night Clubs, Malls, Cinema Halls, Friends House, Travel,railways, highways, patrol pumps, events, Pregnancy etc.) or those with medical condition (Joint Pains/Pregnancy etc). PeeBuddy’s first and foremost concern is hygiene. 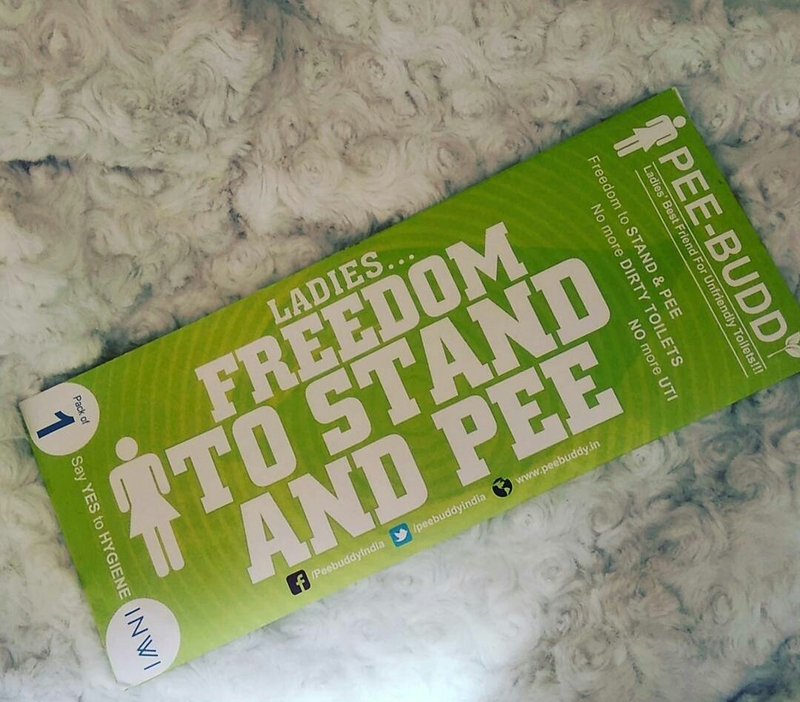 Now with PeeBuddy’s simple USE & THROW technique, We Women can STAND & PEE in all unfriendly toilets. Made from coated paper (waterproof) !! Effective for urinating in public / dirty toilets !! For single use only, throw after use !! It’s Hand Bag friendly !! It’s Retails for Rs. 30/- per Sheet though Budget Friendly Too !! A Boon For Pregnant women !! Women are often found juggling with multiple responsibilities. Their commitment towards work alongside other household chores render them with little or no breather. Being on toes, most of the times, comes with its own downside as there is a dearth of clean, hygienic, and friendly toilets. Women end up resorting to unhealthy ways (cleaning the seat with a paper, holding up or squatting) to cope with the issue. Hence, their agenda is to hinge upon intimate hygiene of women, which has become a long lost cry. To retrieve the dormant idea, They view PeeBuddy as a “friendly weapon against unfriendly toilets”. It aims at making short expeditions, long journeys, and daily commute easy for women, especially the ones who are more susceptible to UTIs. Thanks So much team For this awesome initiative to be bought in India for betterment & Wellness Of Women !! This Can surely help no.s Of Women in living their life hygienically !! Refer The Image Below & Voila !! Just Open / Place / Pee / Throw !! Pee Buddy is now Always in My Hand bag & I want it should in each woman’s bag !! Use Code ” Welcome 15 ” & Avail the 15% discount instantly !! &&& I’m Sure You’ll definitely thank me later !! Have A Good night & take care of yourself !! Ye to bahut interesting n useful hai ? ?